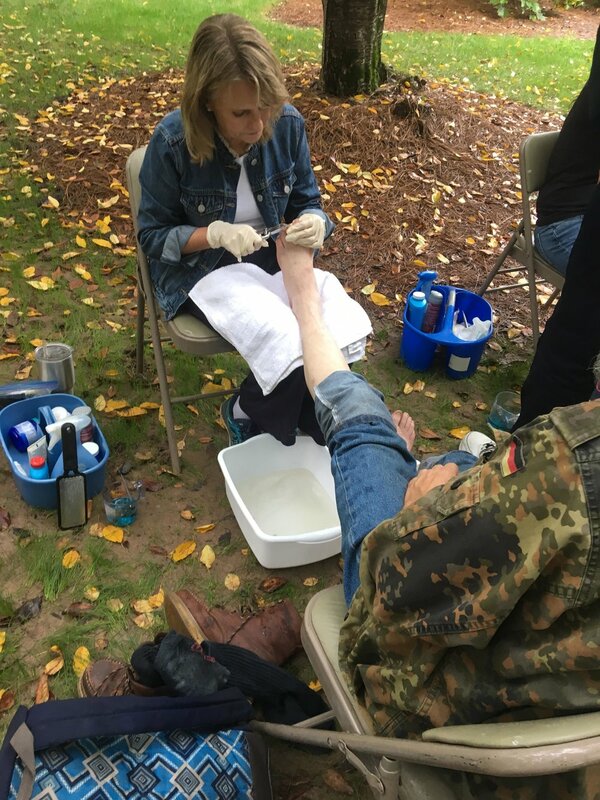 God’s abiding love is reflected humbly and quietly each week at Common Soles Foot Clinic. 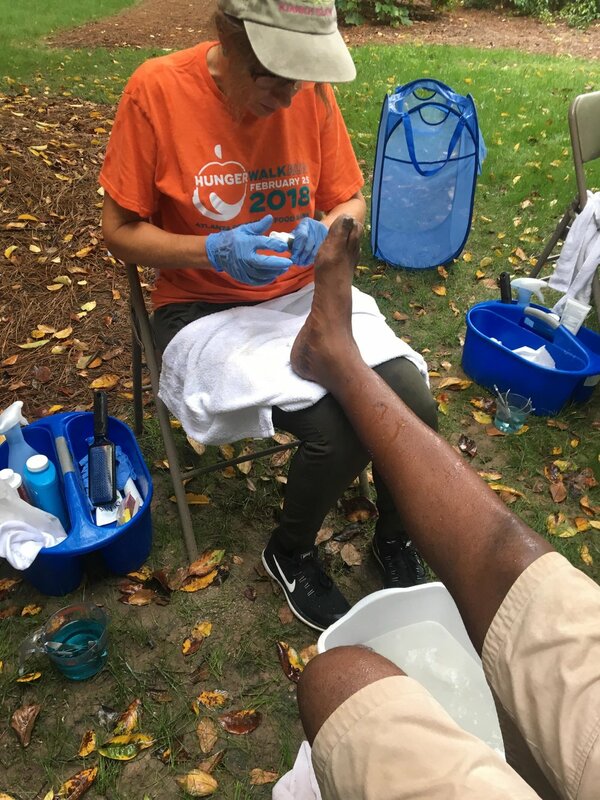 A number of Common Ground’s staff and volunteers, housed and unhoused, welcome men, women, and sometimes children, who are calling the streets ‘home.’ Weary feet receive a bath in water, a gentle massage, and a pair of fresh socks. 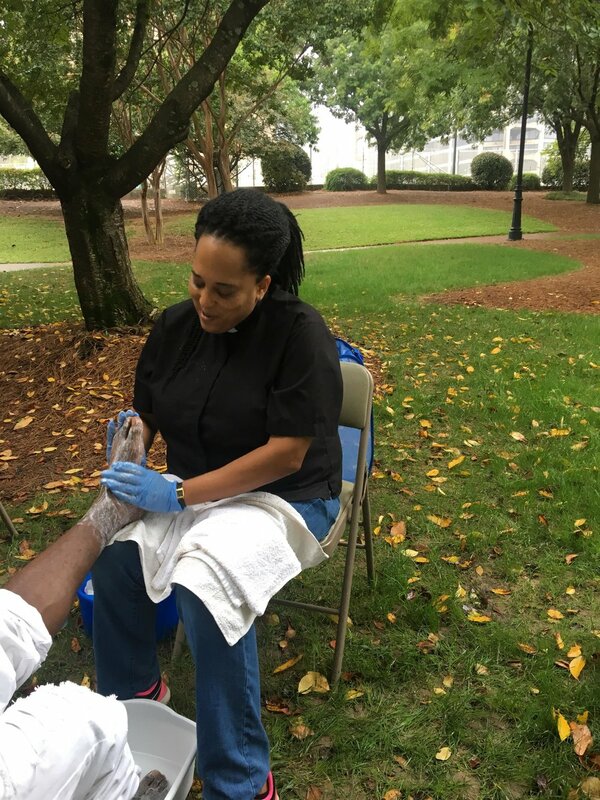 Despite the nearness of the busy downtown streets and highways, there is a remarkable stillness in the park at St. Luke’s where Common Ground goes not to be served, but to serve. A foot lifted and cared for often makes way for a heart to be lifted and cared for, and God’s love is shared. If you would like to volunteer at Common Soles, please contact our vicar at vicar@churchofthecommonground.org. A ministry like Common Soles is always in need of good hearts and good supplies. We welcome donations and have set up a wish list to aid in selecting the most helpful items. Click here to find it. Or, if you have other vendors you choose to use, then please consider our wish list a helpful resource in identifying the best items to send. Thank you! Newer Post"Be still and know that I am God"
Older Post"Volunteering is a form of holy worship"